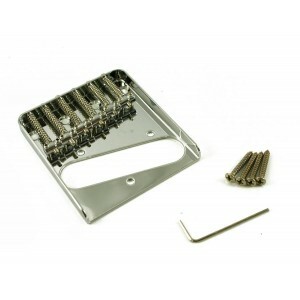 Fender Telecaster Hay 23 productos. 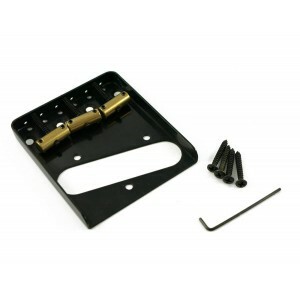 Puentes de gran calidad y de diversos formatos y colores para Fender Telecaster. ¡PRODUCTO BAJO PEDIDO! PLAZO DE ENTREGA ESTIMADO: 10-31 DÍAS. 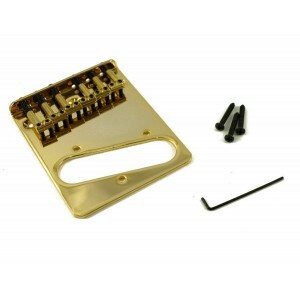 This Fender® Telecaster® replacement bridge is a direct replacement for all vintage Tele's from the 1950's, 60's and 70's with these feature changes: 1) it offers you the ability to top load your strings or use the traditional string-through-body with correct to vintage string thru locations. 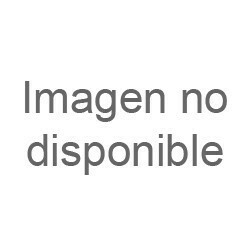 ¡PRODUCTO BAJO PEDIDO! PLAZO DE ENTREGA ESTIMADO: 10-31 DÍAS. 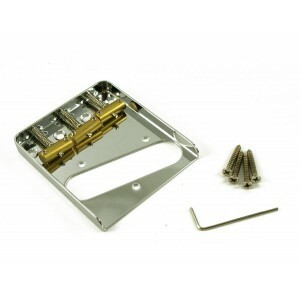 This Fender® Telecaster® replacement bridge is a direct replacement for all vintage Tele's from the 1950's, 60's and 70's except it offers you the ability to top load your strings or use the traditional string-through-body with correct to vintage string thru locations. ¡PRODUCTO BAJO PEDIDO! PLAZO DE ENTREGA ESTIMADO: 10-31 DÍAS. 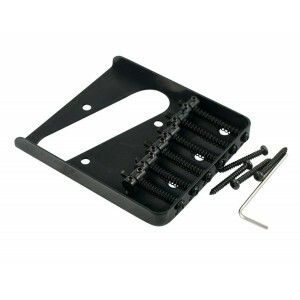 Now you can have a vintage appearance with the modern adjustability of six individual saddles! 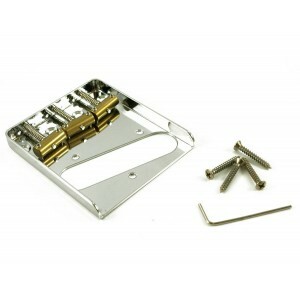 This replacement bridge for original Tele® style guitars will string through the bottom or the back of the ashtray lip. ¡PRODUCTO BAJO PEDIDO! PLAZO DE ENTREGA ESTIMADO: 10-31 DÍAS. 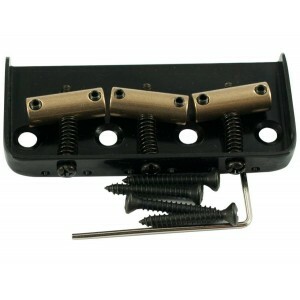 This is a flat, six saddle Tele replacement bridge that allows top-loading the strings instead of stringing through the body. Nickel. ¡PRODUCTO BAJO PEDIDO! PLAZO DE ENTREGA ESTIMADO: 10-31 DÍAS. 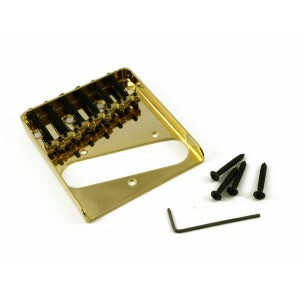 This is a six-saddle Tele® replacement bridge that allows top-loading the strings instead of stringing through the body. 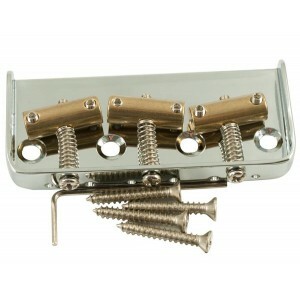 Utilizes 3 mounting screws. 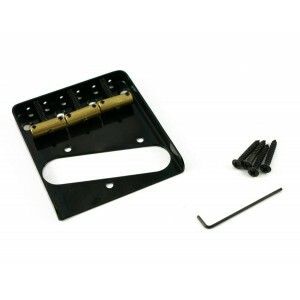 Comes with mounting screws and 1.5mm allen wrench for adjustments.